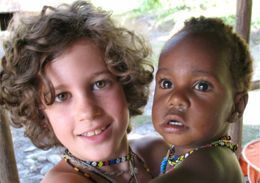 Meet The Wilds an amazing Christian missionary family who is spreading God's word throughout the remote jungles of Papua, Indonesia to the Wano people...and also throughout the homes of families everywhere. The Wilds have created a fabulous educational DVD series called "Growing Up Wild" documenting various aspects of their lives as a missionary family. 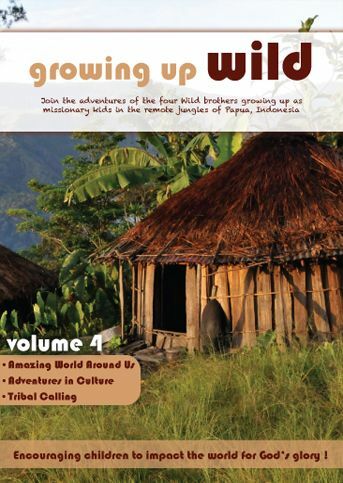 Throughout these DVDs your family will go on many adventures with the four Wild brothers and learn about cultures, religion, science, missionary work and more. The DVDs are targeted towards children ages 5-12 but older children and even adults will enjoy these DVDs very much. 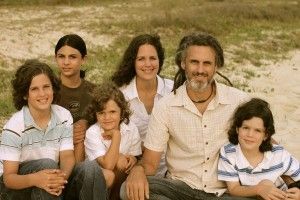 Here is The Wild family's purpose and vision statement from their website, "The "Growing Up Wild" DVD series was developed for the purpose of introducing children to the work going on in foreign mission field. Our hope is that "Growing Up Wild" will educate and challenge your children, and be used by the Lord to play a part in raising up the next generation of missionaries!" Mike & Libby and their 4 boys Morgan, Hudson, Kian and Asher Wild. I cannot say enough good things about the "Growing Up Wild" DVDs. We had the opportunity to review volume 1 and 4 and have watched each about three times (maybe more). Each time we watch them we learn something new. The Wilds have gone above and beyond their missionary work in Indonesia and have given viewers everywhere a first hand glimpse of the important work they are doing with the Wano Tribe. These DVDs were such an amazing idea and something I have never seen a missionary do before. It is a such a great way to truly portray the work missionaries do all over the World. The Growing Up Wild DVDs really impacted my 5 and 6 yr old who enjoy learning about far away lands, animals and cultures. My children immediately recognized that The Wild brother were homeschooled which made the DVDs even more special for them. Growing up I always loved writing to missionaries from our church and receiving post cards and letters back from them. However since we don't attend a church my children don't get to really witness all the amazing work that missionaries do overseas as well as in the United States. These DVDs were a great way for me to show my children why it is so important to have people spread the word of God and help others. Each volume (5 in all) contains two disks. One disk is the 45 (approximate) minute DVD and the other is the Activity Guide. On each DVD there are three episodes which are about 12-15 minutes long. The episodes are narrated by the Wild brothers Mom (Libby) and throughout the DVDs she reminds viewers about God’s creation and the need to spread the Good News to each and every person. For the most part the DVDs are done from the Wild brothers point of view (which makes these DVDs very appealing to children). Before you get to the main menu screen you will be exposed to an an amazing photo slideshow. My kids especially loved the butterfly and bird photos. After each episode Libby makes suggestions for follow up activities to do at home, these activities as well as others and the printables are on the Activity Guide disk. My kids enjoyed the DVDs so much they actually watched both discs straight through the day they arrived at our home. And we have watched them each a few times since then and have done several of the recommended activities. As a busy homeschool mom I was thrilled that there were activities guides included. These guides really helped turn the already fun and educational DVDs into mini science, history, social studies, biblical and even math lessons. And if you make a trip to the library and get some books on Indonesia you can even use these DVDs and do an entire unit study! The guides are not designed to overwhelm you they are designed to be "kindling to spark a fire of fun and learning." The activities can easily be tweaked to suite your family or groups needs. I printed up both of the guides and attached them in a file folder with metal prongs for safe keeping. Each section of the activity guide starts with an overview about the lesson followed by the activities. There are Bible studies, science & botany, cultural & worldview, research projects, crafts and more. There are also worksheets and diagrams that can be filled out. As I stated above we reviewed volume 1 and volume 4 which I will describe in more detail below. 1. Home Sweet Hut - In this episode you will see a glimpse into the Wild brothers’ house and life. Learn how a house in the jungle is built and see the creatures that emerge in the night. 2. Supply Trip - How do the Wild brothers buy and bring in supplies while living in the jungle? Come and watch as this episode takes off on a little bush airplane and ends with a pantry full of supplies. 3. Sun and Water - Discover how the mighty sun’s power and a rushing mountain stream can be harnessed and become useful daily tools for the Wild brothers and their family. Who knew learning about electricity and water pressure could be so much fun! -interview someone older (a relative, neighbor, person at a nursing home, etc) and ask them to tell you a story about when they were younger . -build your own Wano house using clay, popsicle sticks, leaves, limbs etc. 1. Amazing World Around Us - See all of the different kinds of creatures, like pythons and stick bugs, that live in the jungle. This episode focuses on God's amazing creation. 2. Adventure's in Culture - See how the natives, the Wano people, of Papua live. This was definitely interesting since some of their customs are so different from our own. You won't want to miss the nose piercing of the septum for sure. Made my eyes water just watching! 3. Tribal Calling - See how icebergs, missionaries, and the body of Christ are alike and hear firsthand how the Wilds knew without a doubt that God had called them to Papua. It was fascinating to see how the Wild family's life is a mixture of North American culture as well as Wano culture. They have a Wano style house but unlike the Wano people they actually have indoor plumbing which comes from a mountain stream, solar panels for electricity and even a Lego loft. 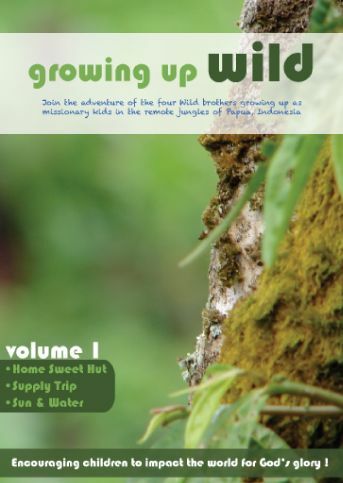 The Growing Up Wild DVD series are a great for homeschool, Sunday school, summer programs, youth programs, private or Christian schools or just anyone wanting to learn more about foreign missionary work. Trailer from Wild Brothers Productions on Vimeo. The accompanying activity guide is amazing and offers many activity ideas for families to do together to connect with the Wild family, learn more about the world they live in and challenge them to think globally. Click here to view a sample of the activity guide. noses pierced. It was neat they wanted to be like the tribe people. I think it is very nice that the family is helping the tribe far away. 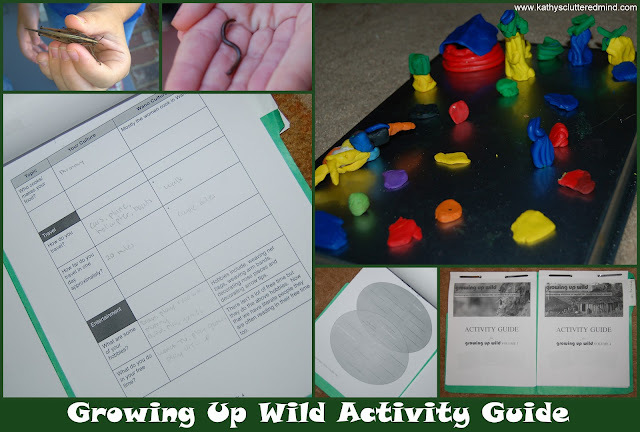 The Growing Up Wild collection is a great addition to any homeschool. Each of the volumes retails for $18.99 + Shipping & Handling. The entire 5 DVD Series can be purchased at a 15% discount for $80.99 + Shipping & Handling. Click here for more Growing Up Wild reviews from the The Schoolhouse Review Crew. *Disclaimer - As part of the TOS Review Crew I received volume 1 and volume 4 of Growing Up Wild in return for my honest review. Please note that prices indicated in the post are subject to change. I was not compensated for my review and all opinions are our own! Many of the links found on my side bars and in my blog posts are affiliate links. As a result, I might get paid money and I will most likely spend the money on homeschool supplies.